European Fascism received assistance from American citizens and corporations! The great struggle to overcome the aggressive nature of fascists and fascism overall leads us to try to understand, how did Fascism gain momentum, and who outside of the fascist nations supported this form of government. Many global elitists not only supported these regimes prior to the outbreak of the World War II conflict, several continued to support these governments after their own nation was involved in trying to suppress this movement. Most of this support began early in the 1920s, and continued through the 1940s as well. To be honest, many very affluent and influential businessman from the United States salivated at the possibility of controlling their own nation by installing fascist governments worldwide. This aid to the fascists began during the Spanish Civil war which began in 1936. It began with support to Francisco Franco and continued to aid this movement by emboldening the regimes of Hitler and Mussolini, through loans and investments, these American businessmen guaranteed that these tyrannical dictatorship regimes was allowed to rise in power. They also guaranteed that these governments would receive the funding necessary to build their military industrial complex war machines. Had the American Fascist sympathizers had their way, the United states would have been transformed in to a Fascist nation! Go ahead, name them! I dare you. No dare necessary, it has been fully planned to divulge these individuals and corporations. Through understanding history, it might be possible to assure that it will never happen again! Before Adolph Hitler committed atrocities that the world could no longer ignore, these American elitists had hope that they could transform the government of the United States in to a fascist entity itself. There was even a plot to overthrow the government of the United States, the conspiracy included some of the names on the following list! Let us begin with families that had members rise to the highest office in the land. Joseph Kennedy, father of John F. Kennedy and Prescott Bush, father to George Herbert Walker Bush, and grandfather to George W. Bush provided immense support to fascist governments. Some extremely wealthy families that also provided support was William Randolph Hearst, Henry Ford, Andrew Mellon, and John D. Rockefeller, J.P. Morgan, Andrew Mellon, each of these influential figures supported fascism that began spreading throughout Europe. Many of these individuals continues to provide aid to enemies of the United States even after the conflict of World War II was being fought. World famous pilot, Charles Lindbergh offered his support through speeches. Eventually Charles Lindbergh came to be employed by the fascist sympathizer and friend to Adolph Hitler, Henry Ford. Allen Dulles, also provided assistance to Fascist governments. 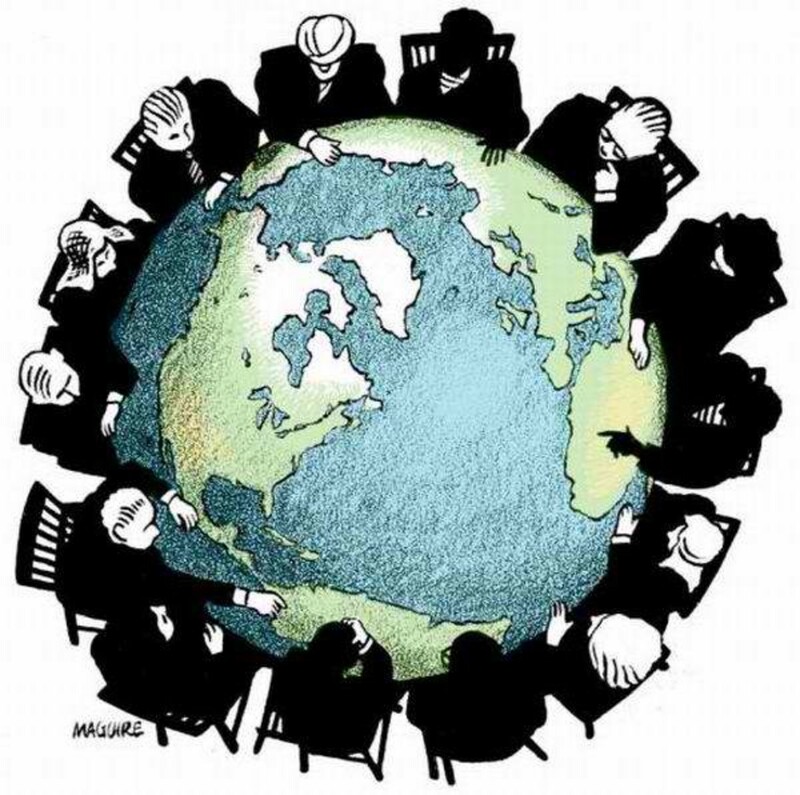 Global elitists believe that they own the world! There is a vast conspiracy among the elitists of the world to bring every aspect of humanity under their thumb! All enabled and assisted the rise of the most horrific forms of government the modern world had seen. 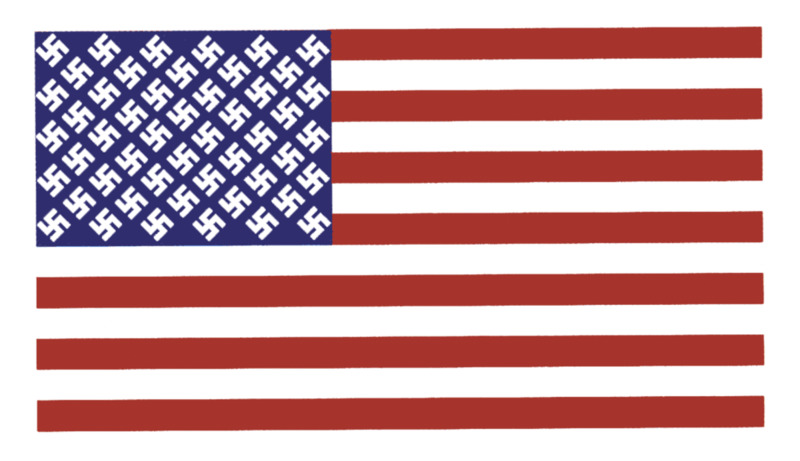 Many Americans desired a Fascist government within the United States. The elites that supported European Fascism also attempted to install a Fascist Government in America. Fascism is a governmental system that desires a national economy controlled by the State. The central goal of a fascist government is to create a self sustaining and independent nation through economic policies. Another means to achieve a fascist form of government is to have the corporations take control of the government, although it is understood that fascism is government control of industry, the opposite would also achieve the same results. When a nations corporations attempt to manipulate the government under its management, it is known as corporate fascism! A Fascist government will usually desire to control trade within their nations using tariffs and other economic tools for the purpose of promoting their own resources and products. They will also promote intervening in other nation's governments for the purpose of altering their government. Although private industry is allowed, it is highly regulated by the State. The individual is allowed to possess private property as long as it will benefit the interest of the nation. A Fascist government is wary of the power residing in currency, they oppose financial capital and a nation controlled by wealthy individuals. Strikes by employees and shutting down of business by employers is criminalized within a fascist nation. These actions are seen as doing damage to the population and thus it is seen as destructive to the society. Another common characteristic of a fascist nation is the promotion of Social Darwinism. A fascist holds beliefs that human beings deemed hereditaraly weak should be terminated. A fascist promotes the reproduction of the designated race while eliminating the opportunity for breeding to those individuals designated as unworthy. The European fascists took the beliefs of the American Eugenicists to the extreme. Due to the actions of European fascists, the United States ceased to continue its own Eugenics programs, the same programs used by fascists to model their own population control systems. Before the outbreak of the hostilities that resulted in the Second World War, the Spanish Civil war began, this was the impetus for conflict involving Fascists! Franco received support from the German and Italian fascist regimes of Adolph Hitler and Benito Mussolini. Assistance to Francisco Franco came from some rather confusing sources. General Motors, Ford, DuPont, and Standard Oil, all worked with Spanish fascists and helped to support fascism throughout Europe. Although the population of the United States took to the streets to protest the actions of fascists in Europe, American corporations were busy providing assistance to these same entities. There was even a group of Americans which volunteered to go to Spain to fight against Franco and support the Republic of Spain. this group went by the name of the " Abe Lincoln Brigade". The majority of these American individuals were on the political left and included members of both socialist and communist parties. American companies were responsible for the rise of Fascism! Without assistance from American companies, the world might have avoided the pending confrontation with these Fascist regimes. The ascendancy of the Spanish Fascist movement was a major accomplishment for the rise of Fascism throughout Europe. 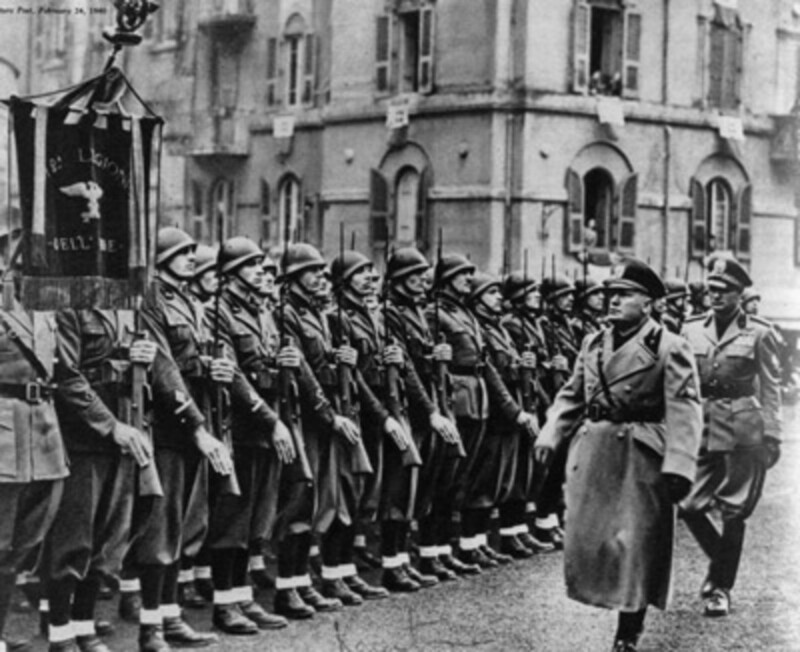 Italian and German fascist groups gained vast momentum through the success of their movements in Spain. With assistance from corporations from the United States, combined with an apathetic attitude from the American government, the Fascist regimes within Europe became immensely powerful. The Allies of World War II had to engage in conflicts with a military funded by American corporations! Without American corporations providing resources and financing, the European Fascist regimes would not have been capable of building their war machines! The assistance from American financial institutions and corporations to the Fascist regimes of Europe, was not violating any American laws until the beginning of the WWII conflict. Once the nation of Germany openly declared war on the United States, America used the "Trading with the Enemy Act" which had been passed in 1917, to try and restrain these entities from providing aid to the enemy nations. Although this assistance was deemed to be illegal by the American government, many individuals and companies continued to support the Fascist government of Nazi Germany. General Motors and the Ford company provided these enemy governments with vehicles and supplies. Many of these American entities continued to loan money to the German chemical company of I.G. Farben! 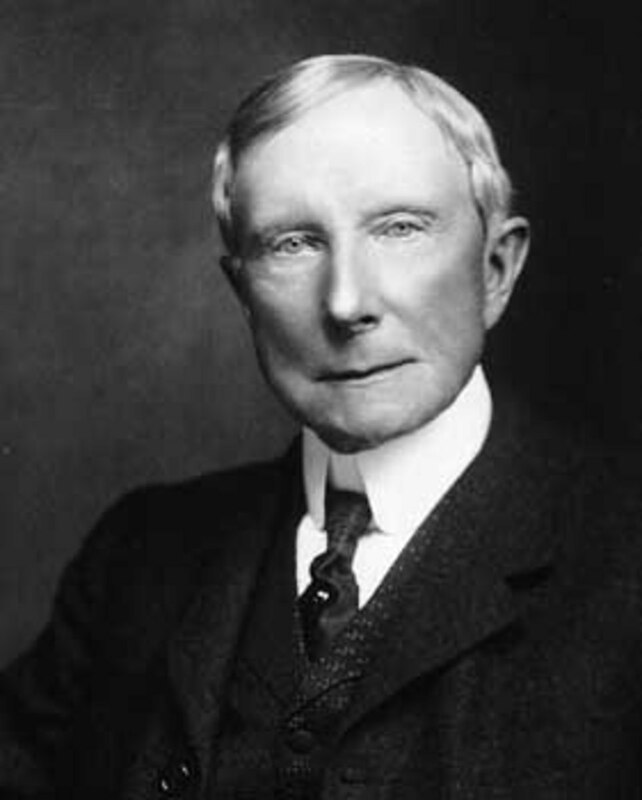 The Rockefeller owned Standard Oil, continued to provide fuel to the enemy nations. While the U.S. Steel and Alcoa companies supported the same nations with much needed metals. Without this assistance the Fascist nations would have been unable to amass such a large military. The people of the United States had to sacrifice an enormous amount of wealth and blood to defeat the military, which was enabled by traitorous American corporations. It is estimated that American companies and individuals provided billions in assistance to the Fascist governments of Europe! Prior to the outbreak of World War 2, the Fascist governments of Europe was spending large amounts of money on new construction projects. They were also increasing the amount of consumer goods being produced within their countries. The amount of global trade conducted by these nations was also being advanced. I.G. 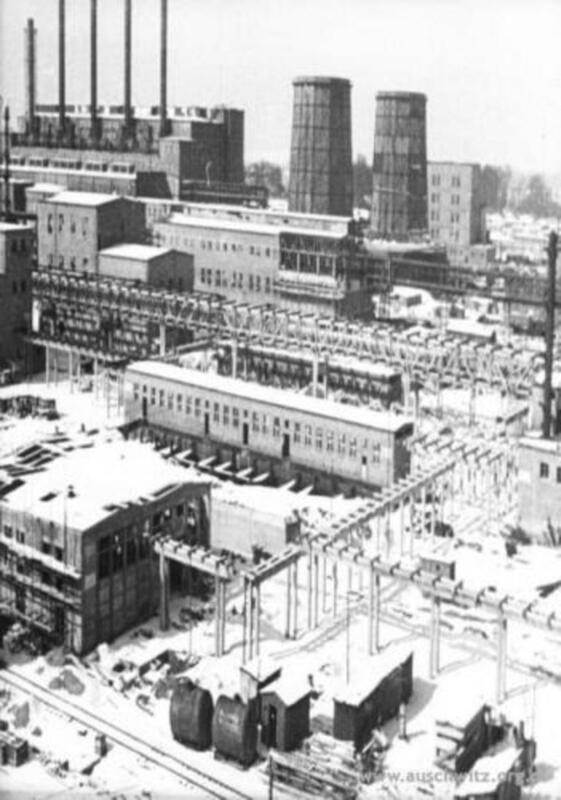 Farben, the enormous German chemical company, was the largest company of its kind in the world at the time. Created in 1925, I.G. Farben became successful during the first world war, and was formed from a number of chemical companies that worked together prior to 1925. Many individuals in the United States invested heavily in this company. Not only was American individuals investing in German companies, powerful individuals worldwide was investing in the Fascist nations of Europe and their companies. Once the hostilities of WW2 concluded, the I.G. Farben company was proven to be conspirators in numerous war crimes! I.G. Farben committed many war crimes! I.G. Farben and the United States! The German chemical company I.G. Farben actually possessed companies worldwide, including some companies in the United States of America. I.G. Farben's American companies included the Bayer company, this company released aspirin as one of its products, in 1897. The Bayer company was seized by the United states as part of reparations after the first world war. the company was then purchased by Sterling Products Company. Not long after this the company came to be possessed by the I.G. Farben company of Germany. Another company owned by I.G. Farben was the General Aniline Works, this company was created after the seizure of the Bayer company. Part of Bayer's production included dyes, the Sterling Products Company, which acquired the Bayer company, sold the dye business to the General Aniline Works. Just because it is not taught in our schools, does not mean it did not happen! Agfa Ansco was another company in America owned by I.G. Farben. This company was in the camera and paper industries. It was located in New York and employed about one thousand individuals. Winthrop Chemical Company, was involved in the manufacturing of drugs. This company was a joint venture of the Sterling drug company and I.G. Farben. The company was used to produce drugs for Germany after the blockades of the first world war were enacted. By producing the drugs in the United states the company could avoid the blockades. Some of the products manufactured by the Winthrop Chemical company included, luminal, phenobarbitol, prontosil, and the first drugs proven effective in combating syphillis, among others. The success of the I.G. Farben company was crucial to improving the German economy. If it was not for the success of this company, Germany would have been unable to amass such a large and ominous military. The reason that the I.G. Farben company has been emphasized in this article is due to the importance of this company with the rise of the Third Reich. With business dealings worldwide along with their international corporate possessions, without I.G. Farben, Nazi Germany would have been incapable to provide the necessary resources and financial assistance needed to pose a threat to the world! American Automobile manufacturers and Fascist Europe! In 1974, the United States Senate Committee on the Judiciary released a report concerning American motor vehicle companies and their influence on Fascist regimes. The report stated that the actions of the GM, Ford, and Chrysler companies before and throughout the WW2 conflict is quite illuminating. During this time in history, GM, Ford, and Chrysler controlled the production of motorized vehicles in both Germany and the United States. To provide a military defense of a nation, the production of motor vehicles is a crucial industry. These three companies had enormous manufacturing proficiency. For this reason these companies were very influential in the spheres of economics and politics. They maintained the capability to influence the foreign policies of a nation. Unfortunately these companies used this influence to increase their corporate profits worldwide with no thoughts on what was best for humanity as a whole. Operating on a global scale, they acted as if they were sovereign governments. Not being required to explain their actions to anyone, including any government, they used their clout to sway nations in to times of war and peace. Concentrating on an increased profit margin, war could reap enormous profits. It is well known that these companies produced tanks, aircraft, and automotive parts to the American war effort, what is not widely divulged is that these same companies provided similar military equipment to other nations. Some of which was used against the American war effort! By supplying products to both the Allies and Axis powers, their bottom line increased exponentially! Without the assistance of certain Americans, the world might have avoided the conflict of the Second World War! History can repeat itself if we do not learn from the mistakes of the past! General Motors and Ford company build Nazi war machines! 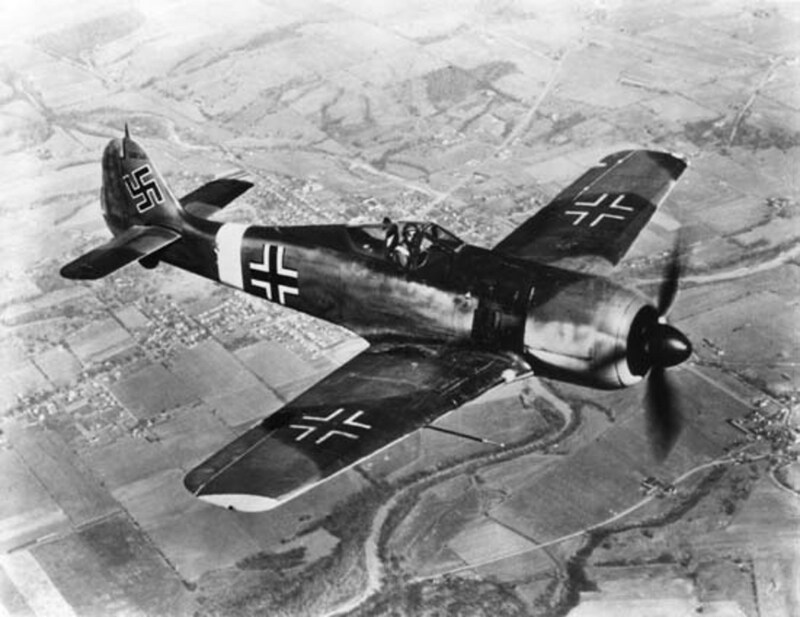 General Motors doubled its profit capability when they began building aircraft engines for the Nazi German Luftwaffe, within Germany. At the same time they were constructing similar engines in America for the United States Army. The creation of military power for foreign nations was quite a lucrative business endeavor. General Motors was not alone in the business of military profits, Ford was also engaged in reaping profits off of the creation of foreign military might! In1938, Ford built an assembly plant in Berlin, the goal of the plant was to assemble troop transporters for the German military. Germany was so grateful for the assistance of the American Ford company in building their ominous military power, they awarded the Henry Ford company the Nazi German Eagle. 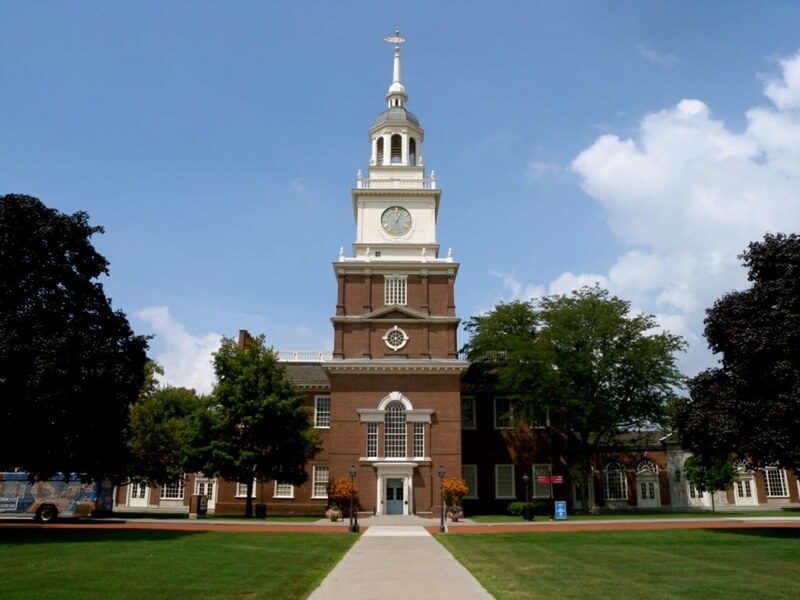 What was probably considered an honor at the time, is now just a symbol of hatred and intolerance. Once hostilities erupted in 1939, both GM and Ford had their factories within the enemy Fascist nations, build strictly military vehicles and aircraft. They eagerly received large profits by building a military force which would be used against the United States and their allies. The People of the United States were forced to sacrifice their wealth and blood in defeating this force built by American companies. It did not matter the outcome of the war for these companies, they would have been happy to install a One World Fascist government! Between Ford and General Motors, they manufactured ninety percent of Germany's armored vehicles and seventy percent of their trucks. Without these vehicles, the transportation systems for the German military would have been non-existent! Henry Ford, the Anti Semite, Fascist, mass murder supporter, war profiteer, and ally of Adolph Hitler! It did not matter to these elites who would be victorious in World War II. 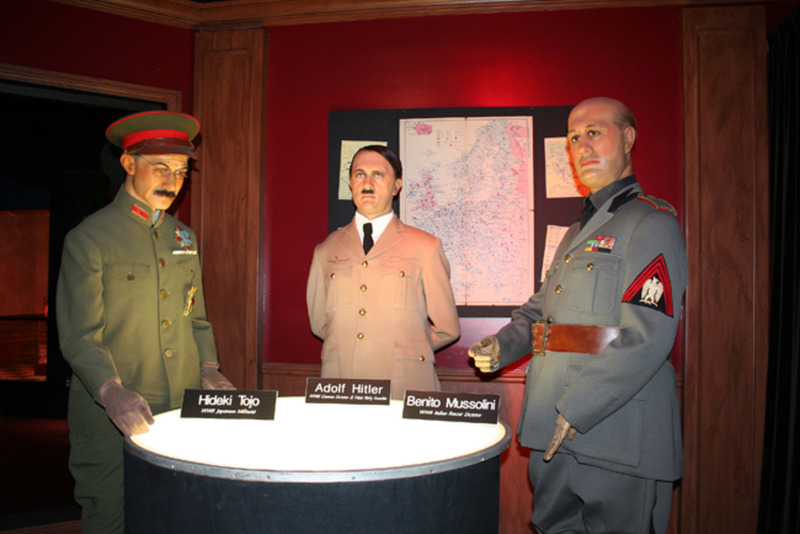 It cannot be emphasized enough that without support from the United States, the Fascist regimes of Europe would have not had the capabilities to wage war. 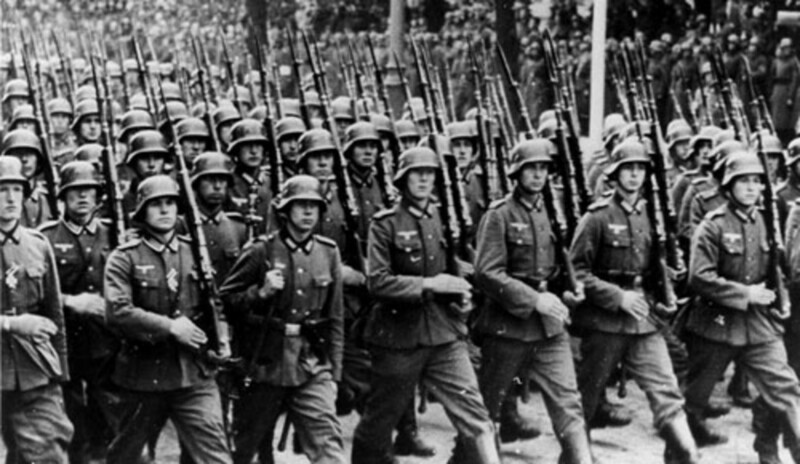 Without consideration for what would be in the best interests of their nation, the supporters of European Fascism eagerly gave assistance to these regimes in constructing their military. To increase profits, these American entities provided both sides of the WW2 conflict with the resources needed to wage war. In the decades of the 1920s and 1930s, American motor vehicle companies expanded their manufacturing capabilities worldwide. By the time that hostilities erupted, these Automotive manufacturers had factories located throughout Europe and Asia. Within Japan, Germany, Poland, and Hungary among other nations, some of the largest assembly plants had been built by the mid 1930s. With their combined wealth, the big three auto companies held dominance in the production of motorized vehicles worldwide. Their dominance of the industry existed in America and their allies along with Germany and the Axis powers. They supplied both sides of the conflict with the military vehicles needed to conduct war on a grand scale. Ford and General Motors was virtually the backbone of the Nazi German war efforts! After the conclusion of the second world war, General Motors and Ford besieged the government of the United States for compensation for their property that was damaged within the enemy nations. Was it possible that these companies were not aware of the risk of manufacturing war machines for the enemies of their country? The audacity of such a request proves how unpatriotic these corporations truly are, the American people sacrificed immensely to defeat the horrendous Fascists that had risen to power in Europe. A military power that would not have existed without the assistance of these treasonous Americans! Then these companies request compensation? The worst part of this tale is that they actually received money from the United States. Ford was awarded one million dollars for their factory in Cologne that was damaged by Allied bombing efforts. With factories located all over the world, General Motors and the Ford company was the prominent manufacturer of motorized vehicles for both sides involved in the conflict of World War II. The American entities that supported European Fascism have worked diligently to attempt to eradicate their involvement from the minds of the American people! The government indoctrinating school systems fail to inform their students of these facts! The American people had to make immense sacrifices to defeat European Fascism. Many Americans and their allies gave their lives to defeat the military powers built by American Fascist sympathizers! Why would Americans support their nations enemies and their own country at the same time? It is a known fact that many individuals and companies will donate to both politicians that are running for office. By doing these activities they gain influence in that office regardless of the outcome of the election. In the same manner, it was irrelevant which side was victorious in WW2, if the Fascists won, these entities would become good Fascists, if the allies proved victorious, they would become good Americans. The bottom line is that these entities did not care who won the war, either way they were situated to become integral parts of the victorious side. All that really mattered to these entities is the bottom line, Profit! They were war profiteers and war is good business! the Fear of Communism was used as an excuse by wealthy Americans to support the Fascist movement spreading across Europe. Fascism is better than Communism? The reason that many individuals supported Fascists, is because they thought that Fascism was the lesser of two evils compared to Communism. Because the European Fascists despised Communism, it was thought by many that the United States should align with the Fascists and aid them in controlling Europe rather then allowing Europe to succumb to Communist control. Communists called for a worldwide state with Communism as the central governmental system. With Russia falling under Communist control, it was thought that any resistance to this movement would benefit the United States. This is perhaps the reason that the major European powers allowed Nazi Germany to invade its neighboring nations. They were afraid that if left to themselves these weaker nations would eventually fall under control of the USSR. 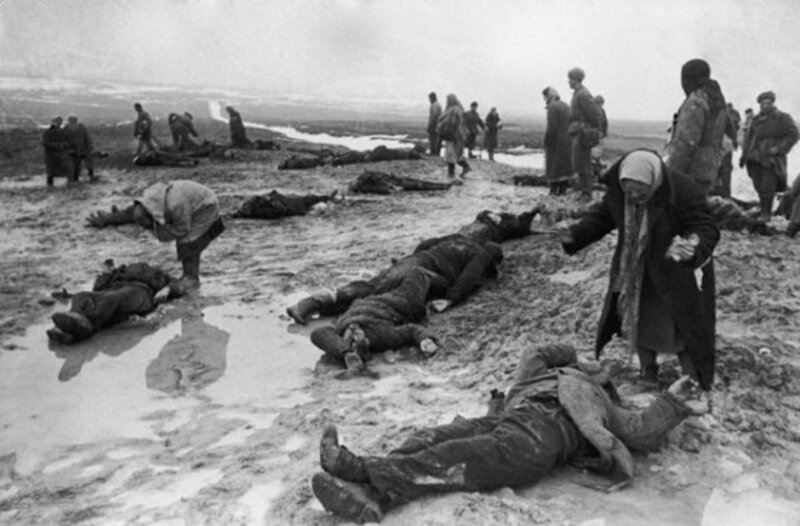 It is ironic that once hostilities started, the allies included the USSR in their resistance to the spread of Fascism. The most vocal opposition to Fascism in the United States came from those that were sympathetic to the Communist cause. Once the Fascist powers were defeated, the United States immediately turned its attention to the red scare of Communism. A very wealthy and powerful American family is that of the Duponts. The DuPont family made their fortune in the sale of gunpowder. The company began with the assistance of Napoleon, to compete with the British gunpowder business. 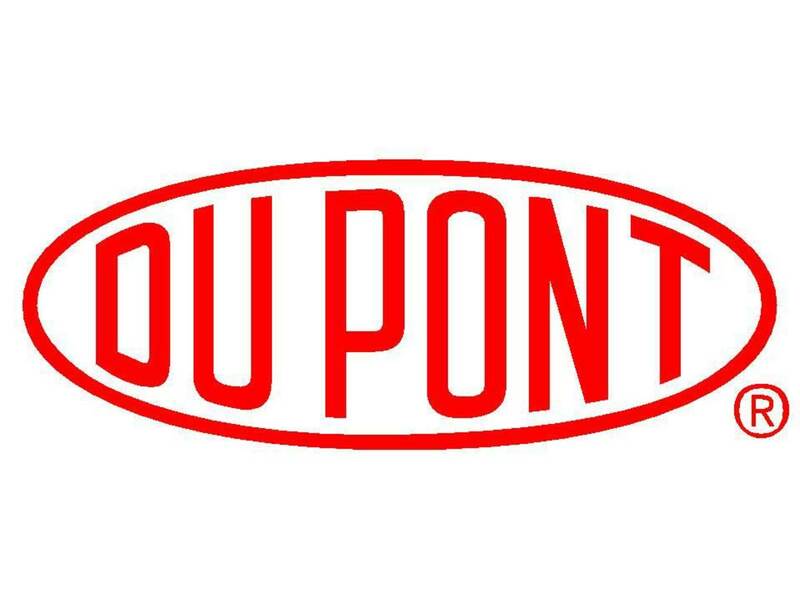 The gunpowder industry in the United States was monopolized by the DuPont family, they had almost nothing in the way of competition. This family was also involved in the General Motors Co., they were also in the rubber manufacturing industry. With their General Motors Co., the Dupont family also assisted in manufacturing vehicles to support the Nazi military machine. Their involvement with Fascism was primarily their support for the anti-socialist group called the "Black Legion", a Fascist sympathetic group The Black Legion involved itself in disrupting labor strikes, and in acts of violence against members of labor unions. It is rumored that this group has connections with multiple homicides against individuals who were assisting workers in demanding rights and benefits. A wealthy American family that supporte European Fascism! Not only did this family support Fascism in Europe, they also supported Fascism within the United States! They were involved in a plot to overthrow the government of the U.S.A., and replace it with a Fascist form of government! With over a million members in the U.S.A., this group disagreed with the policies of Franklin D. Roosevelt, and was involved in a plot to overthrow the legitimate government of the United States, to be replaced with a Fascist form of government. The "Black Legion" worked with the Ku Klux Klan, a known group of Nazi sympathizers. 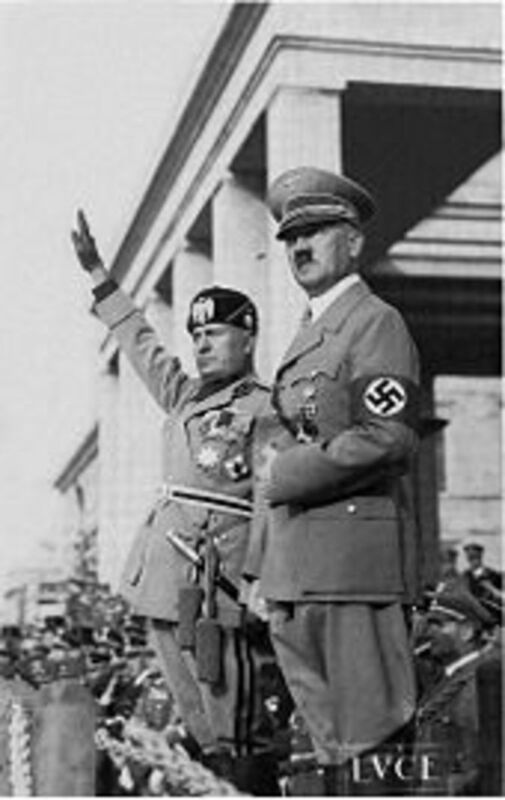 The most notorious DuPont was Irénée Du Pont, who completely supported and agreed with the philosophy of Adolph Hitler. An anti-semite that believed that through the elimination of weaker human beings, a race of supermen could be developed! "In the Second World War, they're talking about the Japanese traitors and putting them into concentration camps. But companies like DuPont had factories in Germany turning out stuff for the German Army." The Du Pont family was also responsible for the founding of the American Liberty League, another group that was involved with General Smedley Butler in the revealed and factual plot to overthrow the Roosevelt government! William Randolph Hearst, his media empire and how he used his empire to divulge Fascist propaganda! 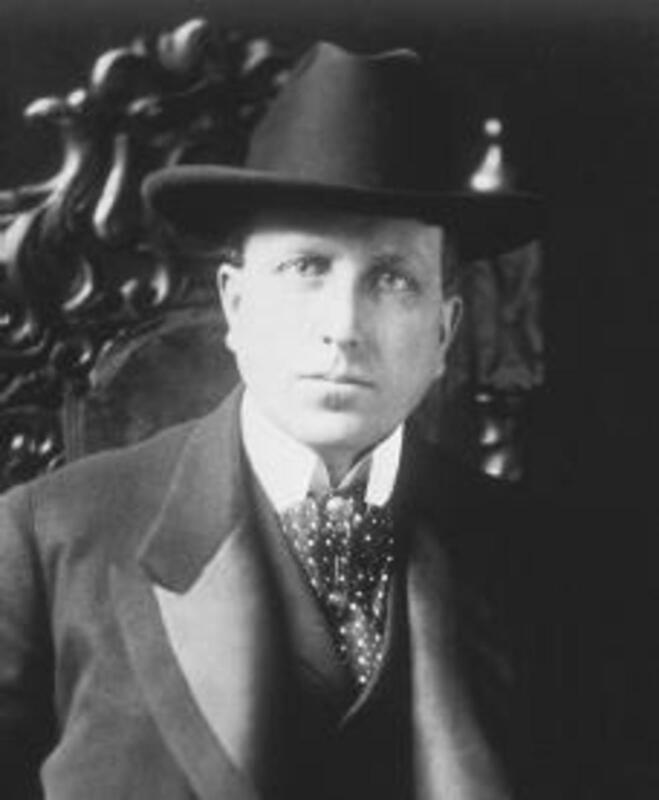 William Randolph Hearst is an American that created the largest and most powerful media operation in the United States. He become associated with the newspaper business when he acquired the San Francisco examiner in 1897. At the pinnacle of his business career, he owned at least thirty newspapers in many of America's largest cities. Running on a Democrat ticket, Mr. Hearst was elected twice to serve in the House of Representatives. He ran twice for Mayor of New York, being defeated in both elections. He also lost in elections to the office of Governor of New York, he also lost an election to serve as Lieutenant Governor for New York. The influence he maintained over politicians through the dissemination of information through his newspapers, gave him vast power to impact public opinion. William Randolph Hearst used his media empire to spread Nazi Propaganda for the purpose of altering the American public's perception of Fascism! At the beginning of the 1930s, William Randolph Hearst used the power of his media holdings to spread propaganda to improve how the American people viewed the Nazi party. Another connection that Mr. Hearst had to Fascists was his acceptance of credit extensions from the Fascist financial institutions in Italy. Through his Fascist propaganda, Mr Hearst was vital to the public relations of Fascism in Europe. He convinced many Americans that the United States should stay out of the pending military threat posed by European fascist governments. While many Americans believed what they read in Hearst publications, these people did not feel that there was anything occurring in Europe which should cause alarm to the American people. "Promptly after this visit with Adolf Hitler and the making of said arrangements... plaintiff, William Randolph Hearst, instructed all Hearst press correspondents in Germany, including those of INS (Hearst's International News Service) to report happenings in Germany only in a friendly manner. All of correspondents reporting happenings in Germany accurately and without friendliness, sympathy and bias for the actions of the German government, were transferred elsewhere, discharged, or forced to resign." Even after hostilities began in Europe, still there was Americans that helped to assist the Third Reich, These opinions had been based on information spread by the media machine owned by William Randolph Hearst! A world famous pilot that had no qualms about vocalizing his support for Fascism! Charles Lindbergh publicly declares his sympathy for Fascism! World famous pilot, Charles Lindbergh although not a financial supporter of Fascism, did make his opinions well known through his speeches. He held enormous sympathy for German Fascism in particular. Many of his speeches requested that the United States remain neutral in the WW2 conflict that was spreading across Europe. 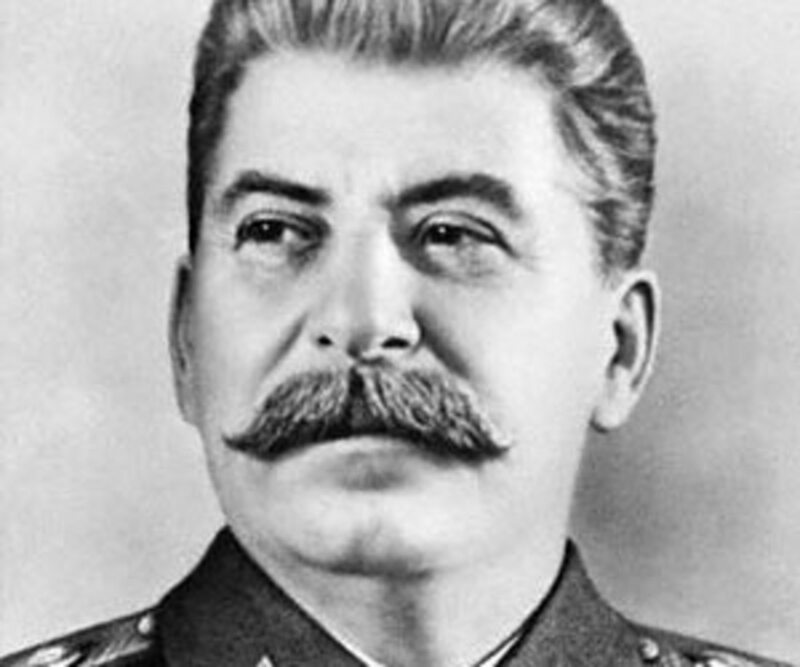 He felt that supporting European fascism was the answer to combat Communism, which he believed was a more evil form of government than fascism. Another belief he shared in common with the German Third Reich was that individuals of white skin color was vastly superior to other skin colors. He believed that a super race of human beings could be formed through the elimination of weaker individuals and the sterilization of unwanted races! While attending the Olympic ceremonies in Berlin in 1938, Charles Lindbergh received the Service Cross of the German Eagle. He was also responsible for the formation of the America First Committee in 1940, this committee was created to gain support for his anti FDR rhetoric. He wanted the United States to stay out of the European conflict and opposed Franklin Roosevelt because of Roosevelt's inclination to involve the United states in the European hostilities. 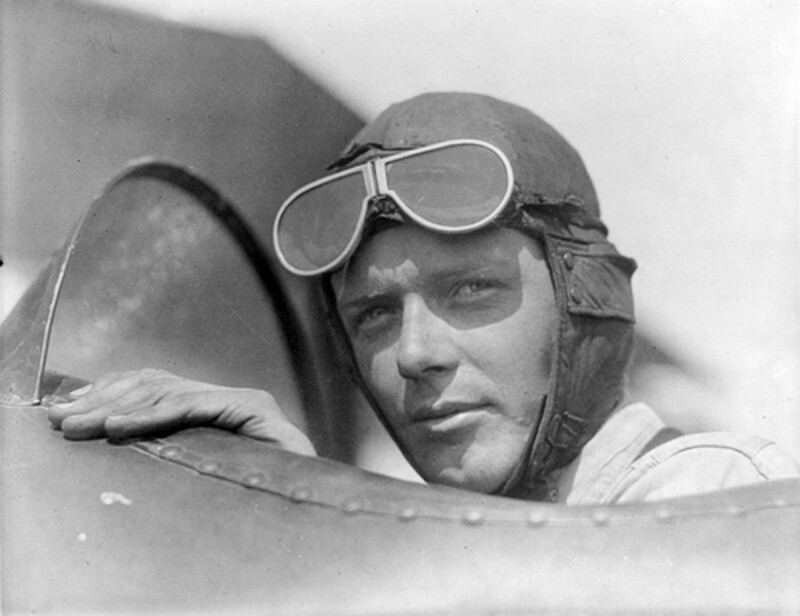 Once America was engaged in the conflict in Europe, Mr. Lindbergh became employed by fellow Nazi sympathizer Henry Ford. His position in the Ford company was that of a consultant in Ford's production of aircraft. Later in his career, he visited Japan to assist America in their Pacific conflict. There was no permission from the President Franklin Roosevelt or anyone else in his administration that endorsed these actions by Charles Lindbergh! International Business Machines (IBM), Thomas Watson and his important contributions to the Fascist Governments of Europe! The most disgusting example of American supporter of Fascism has to be that of the IBM company. At the time the International Business Machines Corporation was controlled by a man named Thomas J. Watson. Under Mr. Watson's supervision, IBM assisted the Nazis to create a system to conduct an accurate census. When Germany wanted to identify the Jews by name, IBM showed them how. When Germany wanted to use that information to launch programs of social expulsion and expropriation, IBM provided the technologic wherewithal. When the trains needed to run on time, from city to city or between concentration camps, IBM offered that solution as well. Ultimately, there was no solution IBM would not devise for a Reich willing to pay for services rendered. One solution led to another. No solution was out of the question. These census machines were created strictly for the purpose the Nazi's used them. Did IBM sell these machines to the Nazis? No! The machines were rented to the Third Reich, IBM was to get the machines back once the Nazis were done with their dastardly deeds. Thomas Watson was held in such regard by his Fascist customers that they presented him with a medal! 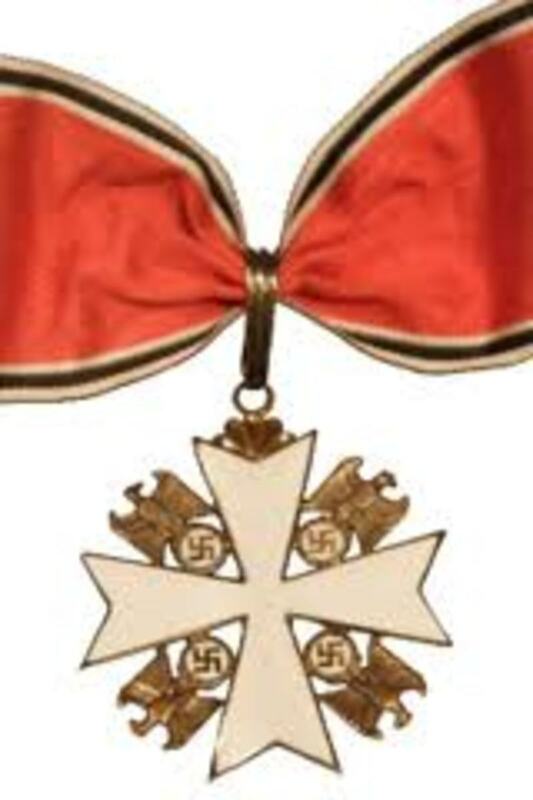 This medal was handed to him by none other than Adolph Hitler himself. Hitler's plans for a new Fascist order with a "Greater Germany" dominating all Europe were not unacceptable to Watson. In fact, Watson admired the whole concept of Fascism. He hoped he could participate as the American capitalistic counterpart of the great Fascist wave sweeping the Continent. Most of all, Fascism was good for business. Living under legal disabilities in almost every land, he has become the power behind many a throne. There are ancient prophecies to the effect that the Jew will return to his own land and from that center rule the world, though not until he has undergone an assault by the united nations of mankind. And that is where the Jewish Question begins. It begins in very simple terms -- How does the Jew so habitually and so resistlessly gravitate to the highest places? What puts him there? Why is he put there? What does he do there? What does the fact of his being there mean to the world? And that is where the Jewish question begins – in very simple terms – How does the Jew so habitually and so resistlessly gravitate to the highest places? Who puts him there? Why is he put there? What does he do there? What does the fact of his being there mean to the world? The Jew cannot go on forever fulfilling the role of suppliant for the world’s humanitarianism, he must himself show that quality to a society which seriously suspects his higher and more powerful groups of exploiting it with a pitiless rapacity, which in its wide-flung and long-drawnout distress may be described as an economic program against a rather helpless humanity. Then there were American elites that supported Adolph Hitler because they shared the same hatred! We are referring of course to the self-avowed hater of the Jewish people, Henry Ford. 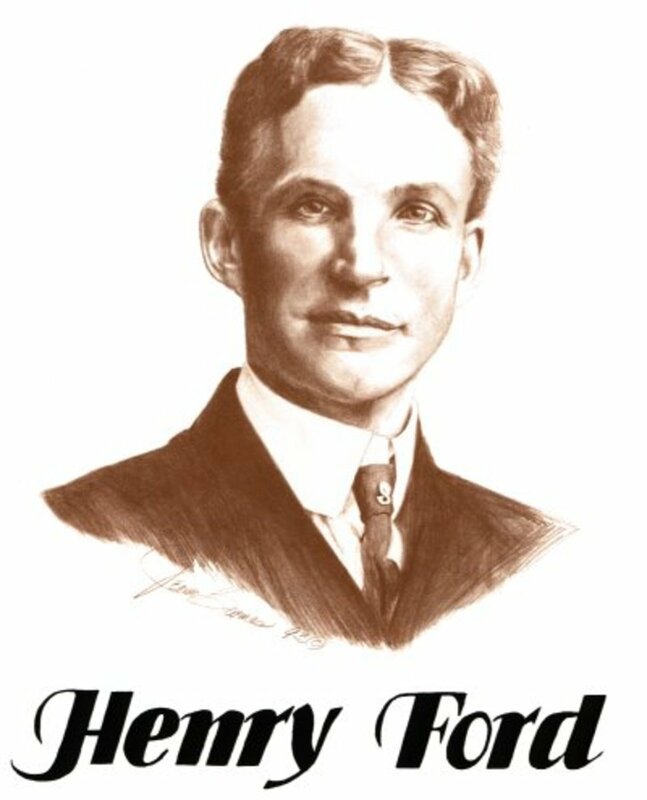 Henry Ford made no attempt to disguise his beliefs that human beings of Jewish descent was somehow responsible for all the problems of the world. A delusional and despicable human being. In 1920, Henry Ford released his tome of hatred entitled The International Jew. It has been rumored that a copy of this book could be found on the desk of Adolph Hitler, it has also been reported that Hitler bought thousands of copies of the book. There is nothing hidden in the book, Henry Ford made his opinions quite clear. His hatred for the Jewish race is blatant in the book. History has placed Adolph Hitler as the main cause of atrocities committed against innocent human beings of Jewish Ancestry. What is not told is that many other global elitists held the same opinions. In fact Henry Ford was probably more effective in to getting the unwary and gullible to believe his horrific fantasies and conspiracy theories! "The Jew is the world's enigma. Poor in his masses, he yet controls the world's finances. Scattered abroad without country or government, he yet presents a unity of race continuity which no other people has achieved." More excerpts from Henry Fords book: "The International Jew"
Being dispersed among the nations, but never merging themselves with the nations and never losing a very distinctive identity, the Jew has had the opportunity to practice "the ethics of the stranger" for many centuries. Being strangers among strangers, and often among cruelly hostile strangers, they have found this law a compensating advantage. Still, this alone would not account for the Jew's preeminence in finance. The Jew has shown that same ability ever since his entry into trade in the various countries he has established himself down the centuries. His power of analyzing the money currents amounts to an instinct. His establishment in one country represented another base from which the members of his race could operate. It is clearly proved that in the world today there is a central force which is playing a vast and closely organized game, with the world as its table and universal control for its stakes. Civilized people have long ago lost confidence in the argument that "economic conditions" are responsible for all the changes that occur. Henry Ford spread hate propaganda, a pathetic human being! Henry Ford believed with all his soul that the world was in danger from a Jewish conspiracy. He was a man filled with hatred and animosity, a proper definition of Henry Ford would have to include the word disgusting! Henry Ford was more than just a human being that had hatred for the Jewish people, it was far more than just racism. Just viewing his opinions in his own words will reveal the actual character of the hate-filled entity named Henry Ford! He actually believed that there was an international struggle between human beings of an Anglo heritage versus human beings of Jewish heritage. The hatred spread by men such as Henry Ford is more complex than the average individual has the ability to comprehend. This hatred is pure evil, and the ideas of those spouting hatred is much more dangerous than most people realize. Henry Ford influenced large numbers of people in to agreeing with his assessment of the situation of the world. His influence even grew to effect the man called Adolph Hitler, yes it is being stated that Henry Ford influenced Adolph Hitler concerning a Jewish conspiracy! Mare hate inspired rhetoric spewed by Henry Ford! Controlling the world's sources of news, All-Judaan can always prepare the minds of the people for its next move. The greatest exposure yet to be made is the way that news is manufactured and the way in which the mind of whole nations is molded for a purpose. When the powerful Jew is at last traced and his hand revealed, then comes the ready cry of persecution and it echoes through the world press. The real causes of the persecution (which is the oppression of the people by the financial practices of the Jews) are never given publicity. I shall only say in one sentence that these were works which had no definite anti-Semitic tendencies, but through which anti-Semitism was drawn like a red thread. The decisive anti-Semitic book which I read at that time and the book which influenced my comrades... was Henry Ford's book,The International Jew; I read it and became anti-Semitic. In those days this book made such a deep impression on my friends and myself because we saw in Henry Ford the representative of success, also the exponent of a progressive social policy. In the poverty-stricken and wretched Germany of the time, youth looked toward America, and apart from the great benefactor, Herbert Hoover, it was Henry Ford who to us represented America. To young Germans, Henry Ford represented the United States, and his book The International Jew influenced their anti-semitic beliefs. Henry Ford used his power and wealth to spread hatred and initiate violent resolutions to a threat which only existed in Henry Ford's mind! Henry Ford receiving a medal from Nazi officials in Michigan! While most Americans would have received the award, Henry Ford accepted the symbol of hatred with pride! 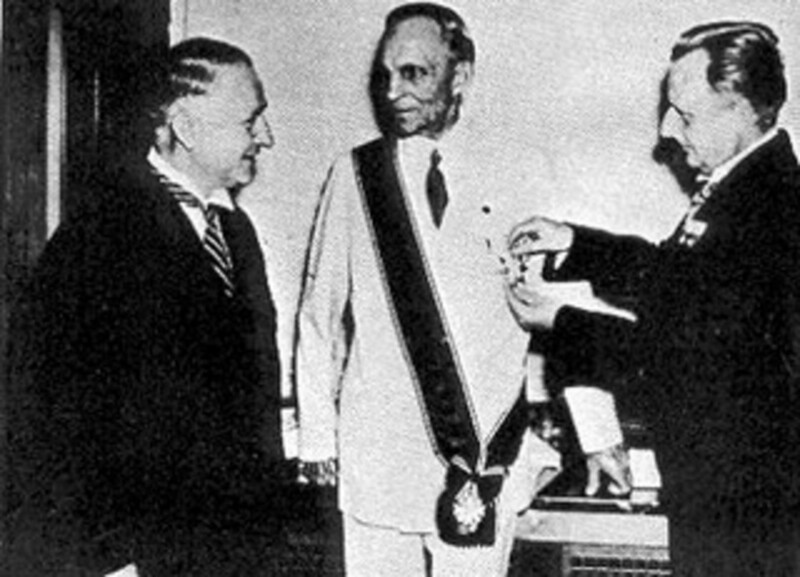 Henry Ford graciously accepted the "Grand Cross of the Order of the German Eagle" on his birthday in 1938. A couple of representatives from the Third Reich traveled to Michigan so they could give the accommodation personally to Henry Ford. The gift originated from Hitler himself. Hitler and Ford had a grand relationship, Henry Ford even donated some of his personal wealth to the coffers of Adolph Hitler to assist in Hitlers campaign to rule the world. Hitler held Henry Ford in such high regard that he often mentioned Ford in his speeches. Hitler actually possessed a photograph of Henry Ford which he proudly displayed in his personal office. Adolph Hitler and Henry Ford was the best of friends. After World war II came to a conclusion, Henry ford proudly kept the token of friendship given to him by Adolph Hitler, while most Americans would have been ashamed to have ties to Nazi Germany, Henry Ford displayed his connections with pride. Too bad the United states cannot say the same for Henry Ford, we do not have pride for the man, disgust is a more proper form of language to describe it. Henry Ford was not alone in accepting commendations from Adolph Hitler, Thomas Watson of the IBM company received similar gifts from the maniac known as Adolph Hitler! At least Mr. Watson rid himself of the embarrassing medal given to him by Fascist Germany. Henry Ford on the other hand, never showed any remorse for his affiliation with the Third Reich, on the contrary, Henry Ford's hateful beliefs continued, if anything Ford was remorseful for the defeat of Nazi Germany! The United States and its allies defeated European Fascism. Despite American elites supporting the cause of Fascism. The American people and their allies proved victorious! 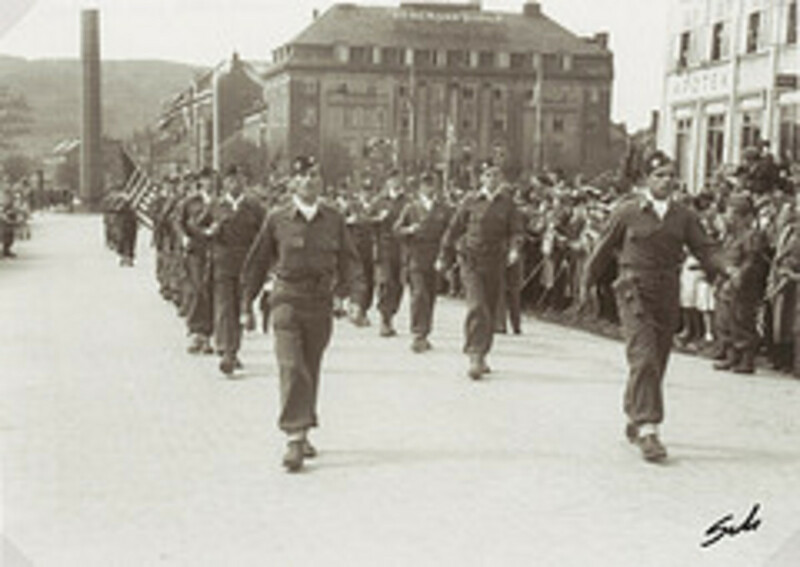 Did American support for Fascists in Europe make a difference in the World war II conflict? Assistance received from American individuals and corporations was vital to the construction of Fascist regimes throughout Europe. It can also be said that without American aid, these governments may never had gained as much power as quickly as they did. There would not have been enough wealth within these nations to allow them to amass such large military forces. When it comes to individuals like Henry Ford, monetary assistance as well as his world philosophy was given. It is amazing how an Americans beliefs could be accepted so eagerly by other nations that it would forever change the course of history. Erik Larson, "In the Garden of Beasts"
Before the hostilities of World War II erupted, the United States was still the richest nation in the world. Even though America was suffering through its own economic troubles, wealthy Americans did not feel the desperation of the average American. These wealthy Americans all shared a disgust for the President, Franklin D. Roosevelt, they despised him so much they were willing to commit treason to remove him from office. The American Ambassador to Germany in the 1930s, William E. Dodd revealed to President Roosevelt the affiliations of American businessmen and the Fascist movement in Europe. The information he provided proved to be vital in the United States resistance to the global Fascist movement. He informed President Roosevelt of the actions of wealthy Americans such as Ford, Hearst, DuPont, etc. "Certain American industrialists had a great deal to do with bringing fascist regimes into being in both Germany and Italy. They extended aid to help Fascism occupy the seat of power, and they are helping to keep it there." Unfortunately for some reason, the government controlled schools of indoctrination do not inform their students of this part of American history. The average American will have no knowledge of the actions of their fellow countrymen. How can we possibly learn from the mistakes of the past if they are hidden from us? If we are not informed of these atrocities, how are we supposed to make sure that they never happen again? Why did some of the wealthiest Americans and most powerful American businesses as well as some prominent American politicians support European fascism to begin with? Three comments from two people, says a lot. Fascism is associated with Hitler and his attempt to kill all the Jews. Hitler was a Facist, but all supporters of fascism were not supporters of Hitler. This is one of those historical paradoxes where it is difficult to separate the politics from the economics. I support capitalism, but I recognize the role Fascism--pre-Hitler played on rebuilding Europe after WW1. Wonderful. 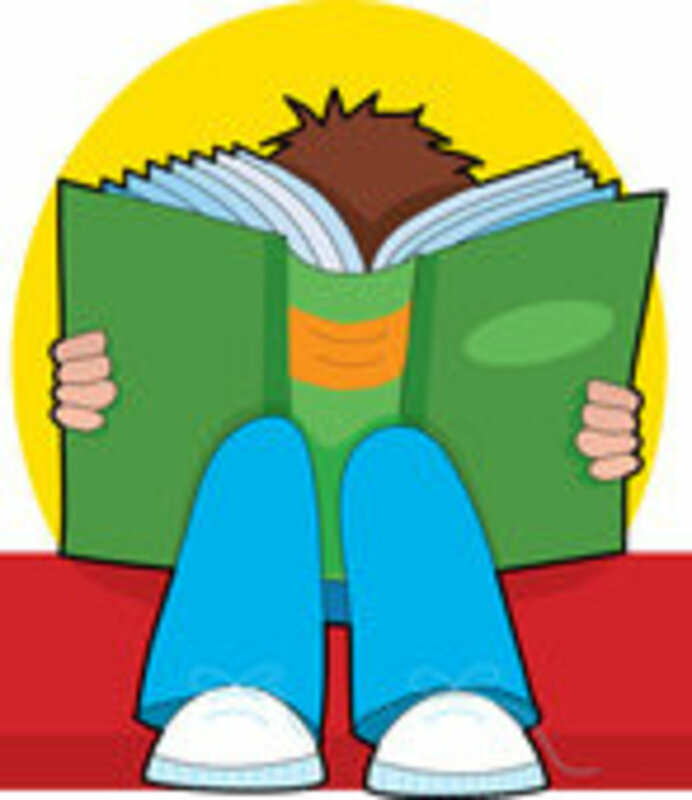 I believe that much research is the only way to reinforce points especially when discussing such controversial points. I do not doubt the majority of your information in this Hub, especially with such notorious names like the above mentioned. I was also curious if you've heard anything about the RFID chip implants that every U.S. citizen will be required to have by March 2013 which was tucked away into the ObamaCare Bill. I would write a Hub about it but I feel that your knowledge and experience would do it better justice. wonderwriter11 , I watched a few minutes of the vid, the book is on my "search for" list. I enjoy browsing used book shops. As to the source for my info, I have tried to link to each source within the body of text. My purpose is to get my readers to research for themselves, so your skepticism is much appreciated. I am working on a hub concerning the failed plot to overthrow the FDR administration, a very true story. I felt that writing this one first would lay the groundwork and provide extra info on my General Butler article. A very enlightening Hub I will have to read it over again tomorrow. I always was intrigued by this "behind the scenes" information it is always quite difficult to trust the source although. On another note, you may have already viewed this video but I would appreciate your insight on it. I understand it is quite lengthy so if you cannot view the entirety of it in one sitting then I understand. Only until we awaken the ignorant may change take place.